Maxwell Technologies have announced the addition of a 2.85 Volt, 3400-Farad cell to their K2 family of ultracapacitors. It is the most powerful cell available in the industry-standard 60 mm cylindrical form factor. Maxwell Technologies have announced the addition of a 2.85 Volt, 3400-Farad cell to their K2 family of ultracapacitors. It is the most powerful cell available in the industry-standard 60 mm cylindrical form factor. 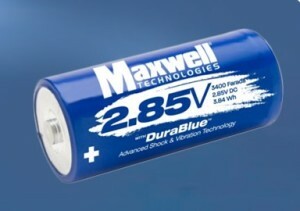 Incorporating Maxwell’s DuraBlue™ Advanced Shock and Vibration technology it also claims to be the most ruggedized cell currently available making it suitable for high energy storage in demanding environments such as those typically encountered in public transit vehicles and transport applications. 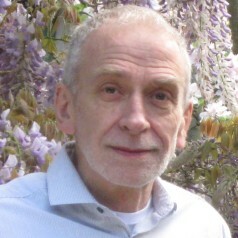 The electrostatic charge can be cycled over a million times without performance degradation. The cells can also be used to provide extended power and energy for long periods of propulsion in automotive subsystems and give fast response in UPS/Backup Power and grid applications to ensure critical information is not lost during dips, sags, and outages in the main power source. In addition, they can relieve batteries of burst power functions, thereby reducing costs and maximizing space and energy efficiency.